Tony Francis Instruments: Weissenborn guide in Acoustic Guitar Magazine! 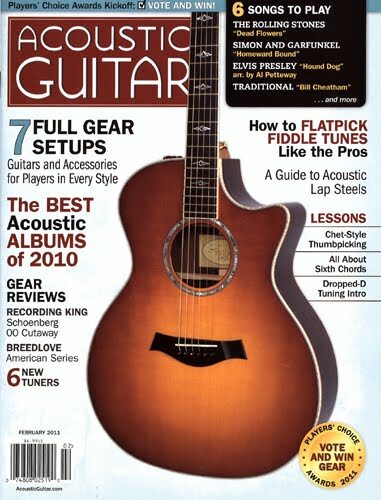 In the February 2011 issue, Acoustic Guitar Magazine features a guide to contemporary Weissenborn-style guitars, penned by noted lap steel author Andy Volk. A clear and concise reference for both long time aficionados and guitarists new to the instrument, Andy's piece is essential reading. Among the short list of top luthiers building in the old style; Bill Hardin, Bill Asher and Tony Francis. Duelling Tony Francis Style 1's.